Solar panels are not very attractive additions to one's roof. 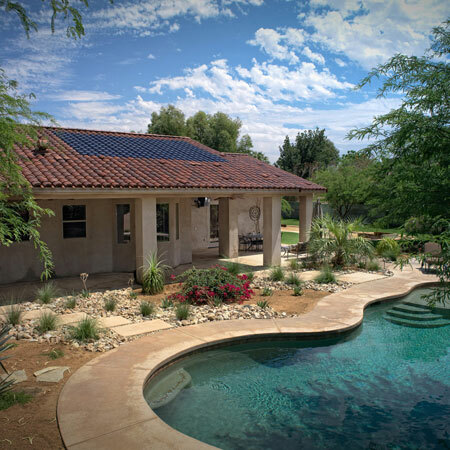 Don't get me wrong, I'm all for energy savings and I have to admit to having two solar panels on my own tile roof, but they distract from its natural beauty. That's just a fact. So I was just waiting for an invention like SRS Energy's new Solé Power Tiles that can be seamlessly integrated with a tile roof. Solé Power Tiles are a beautiful green solution, but they're blue. SRS Energy teamed up with US Tile to integrate its polymer tiles into the size and shape of US Tile's clay tiles, so that the complete results would show a seamless interface. 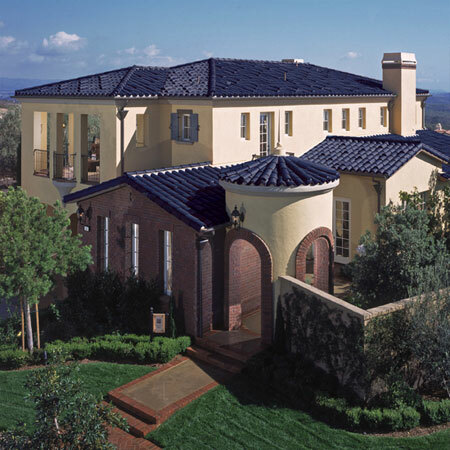 Believe it or not, a good part of the tiles on the roof above are real clay tiles, glazed blue, while only about 20 percent of the roof is Solé Power Tiles. It looks much better than the raised solar panel on the right. And then you've got some blue tiles sticking out like a sore thumb on a beautiful rustic red clay tile roof. 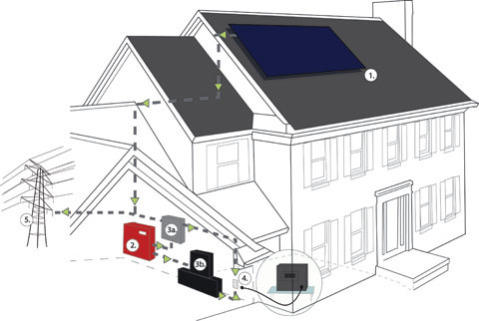 Understand you also have to replace your entire roof to get Solé Power Tiles. So, I'm waiting for the next invention: solar tile roofing that can be purchased after market and can, at least, blend with the roof I spent a fortune on already. Impossible Sculptures Bring Magic Back to Art! Twitter Is Our Studio 54! that is a great follow up. Your expertise is appreciated. About the first comment above, I have written Solé Power Tiles to write it's own comment about the verity of the blue roof on the article's first house photo.